3 May 2017 — Consumers who purchase an LG Electronics (LG) 4K UHD TV will receive 3 months of Netflix Premium included through an exclusive promotion beginning this May. LG’s full 2017 lineup of OLED, SUPER UHD and UHD TVs provide an excellent Netflix streaming experience because they are HDR compatible and have a host of features that make watching your favorite shows easier and faster than ever. Through this exclusive promotion, owners of LG 4K UHD TVs can enjoy the wide range of UHD 4K and HDR titles featured on Netflix. In addition, consumers can rest assured that their latest LG TV will support all HDR content offered by Netflix. LG’s 2017 TVs are equipped with 4K HDR technology allowing Netflix titles to stream in superb picture quality with greater definition and more vivid colors, giving viewers a more immersive experience. The recently launched Netflix series Marvel’s Iron Fist and other popular shows such as The OA and Chef’s Table can now be viewed in 4K and HDR with incredible picture quality. LG has ensured that its entire 2017 lineup of premium TVs support the full palette of HDR formats; Dolby Vision, HDR10 and HLG content , with Active HDR to render brighter scenes and greater shadow details when displaying any HDR content. LG 4K UHD TVs combine incredible picture quality with ease of access while consumers are using their complimentary three-month Netflix subscription. 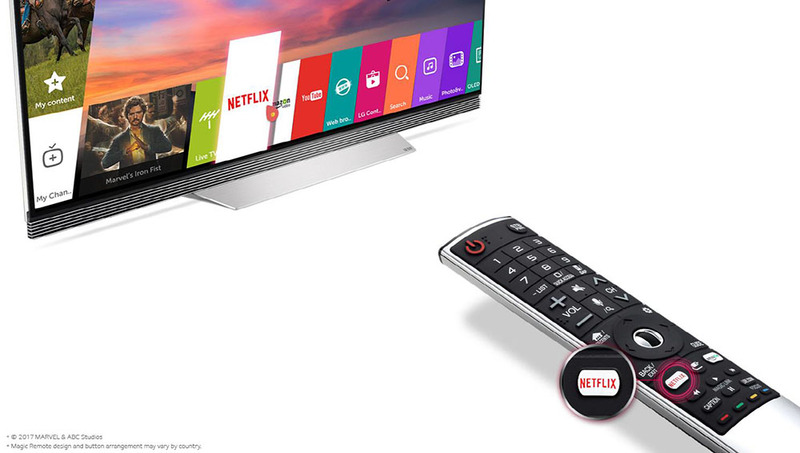 For example, LG’s acclaimed Magic Remote now comes equipped with a dedicated Netflix button which launches the streaming service instantly with a single tap, ensuring your next Netflix binge is more convenient (and tempting) than ever before. LG TVs, with their dramatic improvements in ease of access and speedy performance while streaming Netflix, have earned designations as Netflix Recommended TVs for the third consecutive year. Consumers can easily register for Netflix on their LG TV by selecting the Netflix promotion wedge banner. Then, consumers can use the Magic Remote to ‘Access My Content’ and conveniently install the Netflix app directly from the LG Content Store. After entering the Netflix promotion page, consumers will instantly get a three-month Netflix Premium gift subscription. The schedule to support specific specs of each format such as HDR 10 RF and HLG HDMI etc. can differ by regions. Next : The Canon iR-ADV C3500i and iR-ADV 4500i Revealed!